Turkish motorcycle racer Kenan Sofuoğlu suffered a hip injury late on Sept. 30 in a crash during a qualifying session of the 2017 World Supersport Championship in France. 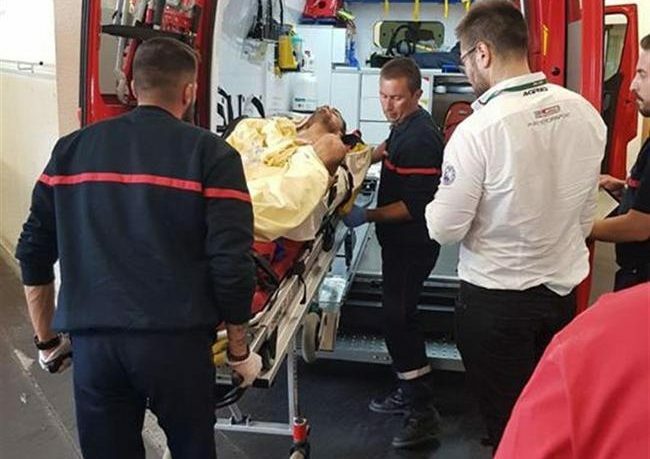 Speaking to Anadolu Agency, Sofuoglu said he had suffered three fractures to his hip in the Superpole at the Circuit Nevers Magny-Cours in central France and could not move his body. Sofuoğlu said Turkish Foreign Minister Mevlüt Çavuşoğlu had called him saying that he will be brought to Turkey by plane for treatment. “I need to be urgently treated in Turkey. The Ministry of Youth and Sports and Ministry of Health are taking the necessary measures,” he added. Sofuoğlu said that he has to start treatment immediately to be prepared for the race in Spain which is in three weeks. Turkish motorcyclist Kenan Sofuoğlu was crowned 2016 World Supersport Champion for an unprecedented fifth world title.